clearance finds Tops Tops Markets unadvertised deals Organic Old Fashioned Rolled Oats Just $0.64 with coupon! 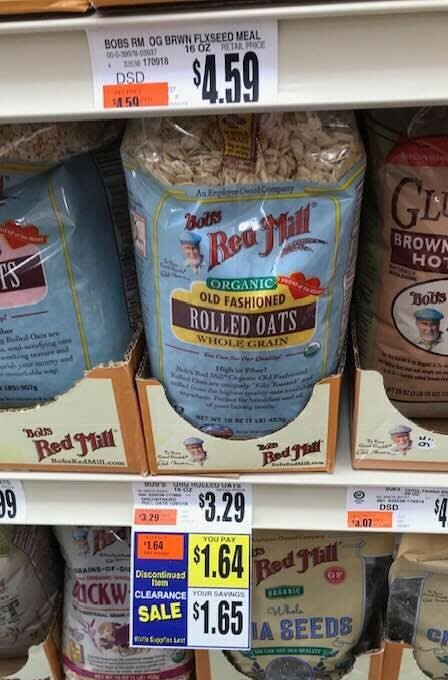 Organic Old Fashioned Rolled Oats Just $0.64 with coupon! We go through a lot of oatmeal here, and I prefer getting Bob's Red Mill Organic so when I came across this unadvertised clearance sale at Tops Markets earlier this week, I sure was stoked!